Polio is an ancient disease. Although the first modern polio epidemic is thought to have occurred in 1887, when 44 cases were reported in Stockholm, Sweden, polio likely existed as far back as 1580 BC. A type of enterovirus, polio usually causes infections without symptoms or very mild symptoms, including a low-grade fever and sore throat. Paralytic polio — have a low-grade fever and sore throat, and then 1 to 18 days later, they may develop increased deep tendon reflexes, severe muscle aches, and muscle spasms, followed by decreased deep tendon reflexes and flaccid paralysis. Some of these children have permanent weakness and paralysis and paralytic polio is fatal in at least 2 to 10% of cases. Polio hit its peak in the United States in 1952, when there were over 21,000 cases of paralytic polio. The United States has been polio-free since 1979. That last outbreak had been among an unvaccinated group of Amish in several states in the Midwest. Of course, it was the development of the first polio vaccines that stopped the polio epidemics after 1952 and helped us eliminate the endemic spread of polio. The Salk vaccine, an inactivated polio vaccine, was licensed in 1955. This was followed by the introduction of the original Sabin vaccine, an oral, live polio vaccine, in 1961. When a trivalent oral polio vaccine (protected against all three strains of the polio virus) was introduced in 1963, it replaced the Salk vaccine in the US. An enhanced version of the Salk vaccine was introduced in 1987 and it went on to replace the oral polio vaccine in many developed countries that had eliminated polio because of concerns about vaccine-associated paralytic polio (VAPP). When you look at the strengths of the oral polio vaccine, though, it is easy to see why it is used when you are still trying to get wild polio under control in an area. In general, the oral polio vaccine is also less expensive and much easier to give to children, since it doesn't require a shot. Vaccine-associated paralytic poliomyelitis (VAPP) occurs when the weakened live poliovirus strain in the oral polio vaccine changes and causes someone, or a very close contact, to develop symptoms of paralytic polio. The change occurs in the intestine of someone who has received the oral polio vaccine, typically after the first dose and most commonly in people with immune system problems. Fortunately, VAPP does not lead to outbreaks of polio and it is very rare, only occurring after about 1 in 2.7 million doses of oral polio vaccine are given. Still, that ended up as 5 to 10 cases a year in the United States, and once polio was eliminated in the United States, the risk-benefit ratio no longer favored the oral polio vaccine. When the only kids getting polio were getting vaccine-associated paralytic poliomyelitis it became time to make a switch to the Salk vaccine. John Salamone became the advocate for that change. His son, David, developed VAPP after getting his oral polio vaccine in 1990. At the time, the live, oral polio vaccine was still a standard part of the childhood immunization schedule. As early as 1977, an IOM report "Evaluation of Poliomyelitis Vaccines" stated that "five major policy options were considered for the United States in the context of the 60-70 percent level of vaccination now reached." These options including using only OPV, only IPV, and a combination of both vaccines, etc. Low vaccination rates seemed to be a big factor in influencing the recommendation to go with only OPV at the time. As time went by, it became clear that the switch to IPV was necessary, but fear of changing a program that had been working so well for so long and perhaps uncertainty that the switch, including a need to greatly increase the supply of the inactivated vaccine in a short amount of time, kept health experts from making it until 1997. The sequential IPV/OPV vaccine schedule was then formally changed to an all-IPV vaccine schedule in 2000. Although it sounds similar to VAPP, vaccine-derived poliovirus strains are a little different. A vaccine-derived poliovirus (VDPV) strain also undergoes genetic changes from the weakened (attenuated) live poliovirus strain in the oral polio vaccine and can then cause paralytic symptoms, but it also develops the ability to continue circulating and cause outbreaks. These outbreak or circulating strains of vaccine-derived poliovirus (cVDPV) are fortunately very rare. When they occur, it is because a lot of people in the community aren't vaccinated against polio, as high vaccination rates protect against cVDPV, just like they protect against wild poliovirus strains. It is important to remember that although 580 polio cases occurred after 20 outbreaks of cVPDV around the world from 2000 to 2011 and there were 15,500 cases of wild paralytic polio during that time, the polio vaccine itself prevented over 5 million cases of paralytic polio! Sure, without polio vaccines, we wouldn't have VAPP, VDPV, and cVDPV, but we would go back to the days when over 500,000 people a year developed paralytic polio. 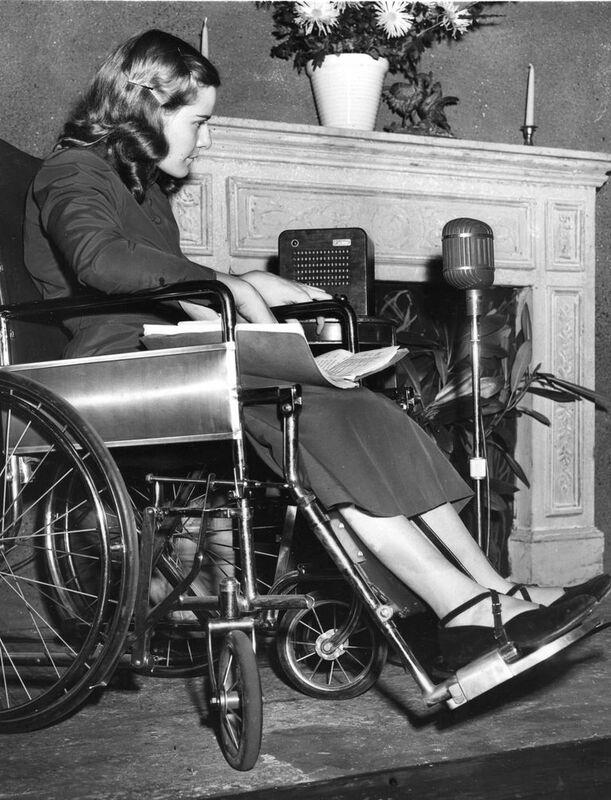 Post-polio syndrome is another term to be familiar about when studying polio. Like children who recover from measles and then have a risk of developing subacute sclerosing panencephalitis (SSPE), a post-polio syndrome is a late complication of paralytic polio. About 25 to 40% of those who had paralytic polio can develop new symptoms 15 to 20 years later. Symptoms of post-polio syndrome can include new muscle pain, new muscle weakness, and even new paralysis. Or they may have worsening of a previous muscle weakness. Post-polio syndrome does not occur after getting the live polio vaccine. Improved hygiene and sanitation didn't cause polio to disappear, as some anti-vaccine conspiracy theorists argue. Instead, polio changed from an endemic form, infecting most children when they were infants and still had protection from maternal antibodies, to an epidemic form, as fewer people were exposed and developed immunity when they were younger. There are three different serotypes of wild poliovirus (WPV). Natural immunity provides lifelong immunity to the specific serotype of polio to which you were infected. SV40 contamination in the original polio vaccines from 1955 to 1961 is not associated with an increased risk of cancer. The standard vaccination schedule includes four doses of a polio vaccine at 2 months, 4 months, 6 to 18 months, and a booster dose at 4 to 6 years of age. The Cutter Incident refers to a problem with polio vaccine manufactured by Cutter Laboratories which was not completely inactivated, causing paralytic polio in at least 200 children and 10 deaths in 1955. There have been at least 73 cases of immunodeficiency-related vaccine-derived poliovirus (iVDPV), in which a person with a rare immune disorder continues to shed poliovirus after vaccination, typically for up to six months. Even though up to seven of these cases have been known to shed virus for more than five years, including one with common variable immunodeficiency (CVID) who has been shedding vaccine-derived poliovirus for 28 years, this is not thought to be a common way to spread the polio virus to others. Because of VAPP and VDPV, there will eventually be a worldwide phase-out of the oral polio vaccine and a switch to the inactivated polio vaccine until polio is completely eradicated. Countries are usually not switched to an all-IPV immunization schedule until they demonstrate high vaccination rates and the risk of importation of wild polio is low. And there will soon be a switch to a bivalent oral polio vaccine (bOPV), removing the type 2 component of the vaccine, decreasing the risk of VAPP and cVDPV. By May 2016, the trivalent oral polio vaccine (tOPV) will no longer be used, as we will have switched to using IPV and bOPV. There is no cure for polio. In addition to polio, other types of acute flaccid paralysis include nonpolio enterovirus infections, rabies, Guillain-Barre syndrome, West Nile virus infections, acute transverse myelitis, and myasthenia gravis, etc. Many other causes of flaccid paralysis also include sensory signs and symptoms though or can be differentiated from polio in other ways. Most importantly, know that polio is close to being eradicated. Type 1 polio remains endemic in only three countries, Afghanistan, Nigeria and Pakistan, and polio cases are at an all-time low. There were only 359 cases of wild poliovirus infections in endemic and non-endemic countries in 2014. More importantly, year-to-date polio cases in 2015 are well below what they were at this time in 2014 and wild virus types 2 ( the last case was in 1999) and 3 ( the last case was in 2012) polio appear to have been eliminated. CDC. Achievements in Public Health, 1900-1999 Impact of Vaccines Universally Recommended for Children — United States, 1990-1998. MMWR. April 02, 1999 / 48(12);243-248. Dunn G. Twenty-Eight Years of Poliovirus Replication in an Immunodeficient Individual: Impact on the Global Polio Eradication Initiative. PLoS Pathog 11(8): e1005114. Why Won't Polio Go Away for Good?